Feeling crafty? Got tickets to Glasto? We've got just the book for you! 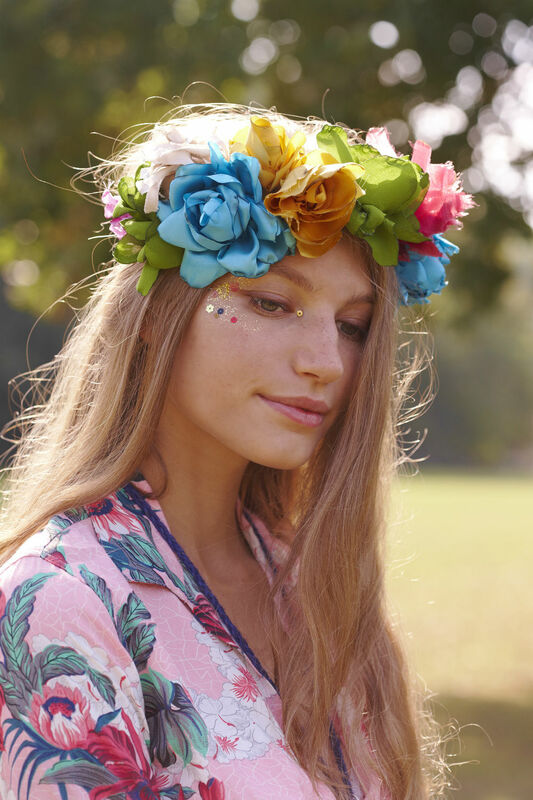 Festival season is officially upon us and it’s about time we start to prepare our tents, wash down our wellies and start planning our outfits meticulously (only for the inevitable downpour to force us to resort to a not-so-chic jumper and anorak). Marie Claire RUNWAY’s lovely Art Director, Christine Leech and her equally crafty partner, Ros Badger have just released their newest book, Festival Fabulous: 45 Craft and Styling Projects for a Unique Festivals Experience which is full of projects to ensure that your festival experience is Instagrammable as humanly possible. How did you first get into crafting? When did you and co-author, Ros Badger first team up? I met Ros a couple of years ago when I was styling the photos for one of her Crochet books. We got on really well and when she was approached by Lady St Germans from the Port Eliot Festival to run some craft classes at the festival she asked me if I was interested in going along and running them with her. 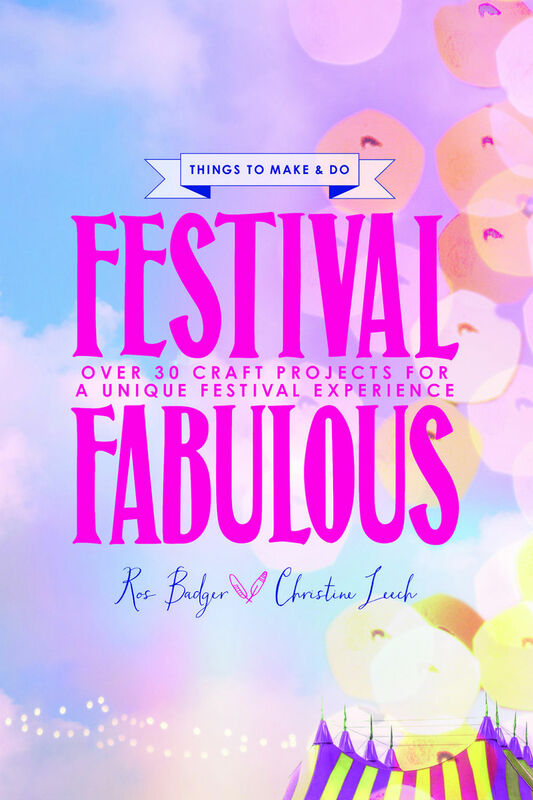 Why did you decide to do a festival inspired craft book? 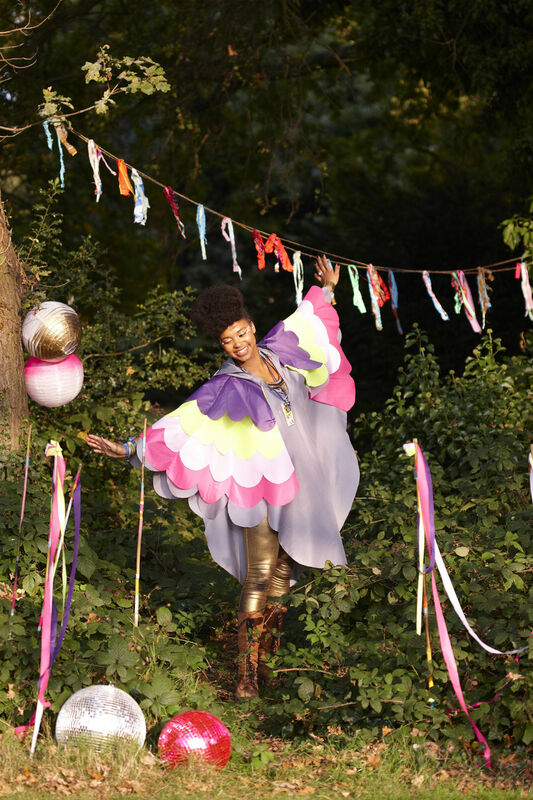 Our tent at Port Eliot was chocka block with people for the whole four days of the festival wanting to try their hand at making pom poms, headdresses and bunting and it made us think there must be a market for people wanting to personalize their festival and camping experience! I’m a relative festival newbie and Port Eliot last year set the standard really high as it was 4 days of glorious sunshine and access to a private loo! I know think all festivals should be like this. First festival you went to? Monsters of Rock in 1990. That was loud. Next festival you’re headed to? Festival Number Six in Port Merrion (September 3-6th). We’re running a ‘Make Your Own Headdress’ and ‘Pimp Your Sunglasses Class’ in the Town Hall there with The Idler! Best headliner (so far)? Prodigy at Creamfields in Spain! My friend, Rex The Dog was DJing after them as dawn broke. It was amazing! Queen! They knew how to put on a show. Any floral headdress. Simple to make from Pound Shop flowers and ribbon or make your own with multi-coloured fabrics. I’ve just bought a Bell Tent which I’m planning on using this year. At Port Eliot last summer I had a lovely big boutique one that was set up when I arrived. The bed was almost more comfy than my one at home! If you had to pack one thing and one thing only for a festival, what would it be? Always take clean fluffy comfy socks. Whether your feet have been socked in water all day or running around bare feet on rock hard ground, it’s nice to give your feet a bit of comfort at the end of the day. Do you have any festival rules or traditions? If you see a clean port-a-loo, use it. You never know when the next one will turn up.